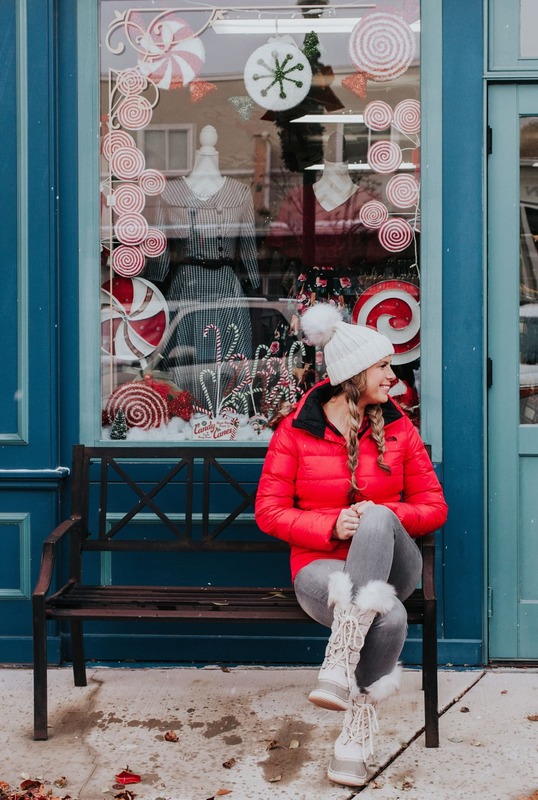 I don't know about you, but when I go holiday shopping, it's like a marathon mission! 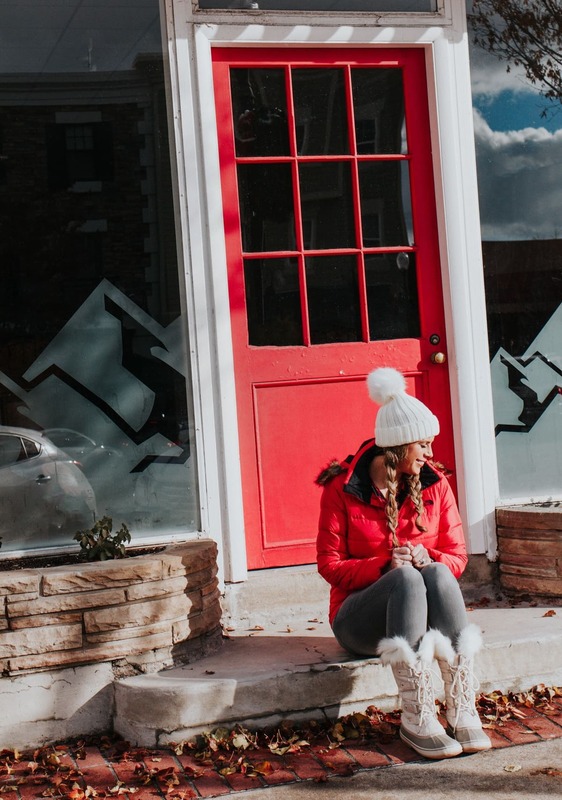 I need comfortable, warm, and no-fuss clothing that won't get in the way as I go shop to shop finding the perfect things for the season…but of course, I also want it to be cute! I was able to find items that met all of these requirements at Macy's, and they were the perfect choice for a day of running holiday errands. Right now save 30% on select styles during Macy's Friends and Family Sale using code FRIEND now through December 10. 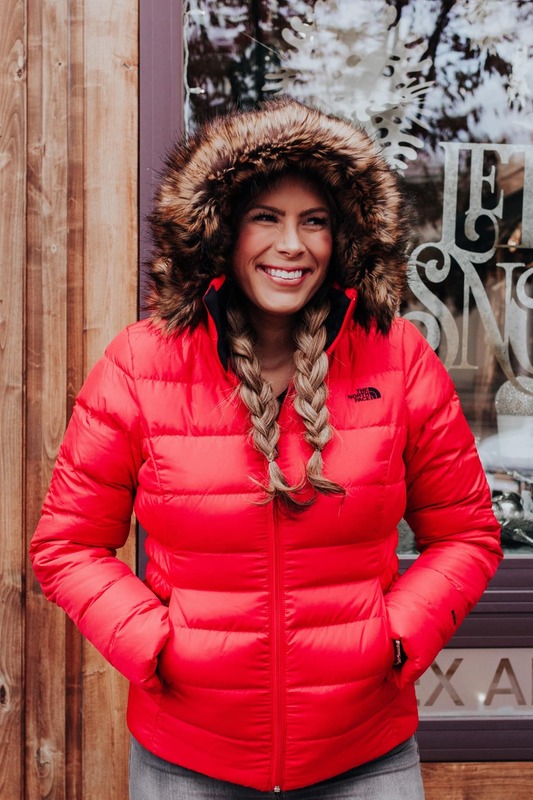 This North Face coat is perfectly warm and cozy without making you SO warm you'll sweat to death when you step into a store! It's got elastic built into the waist, and I really like that it gives you a nice shape instead of a huge, puffy silhouette. The bright red color is so nice if you're going to be in a crowded place (ha! )…it makes you easy to spot! 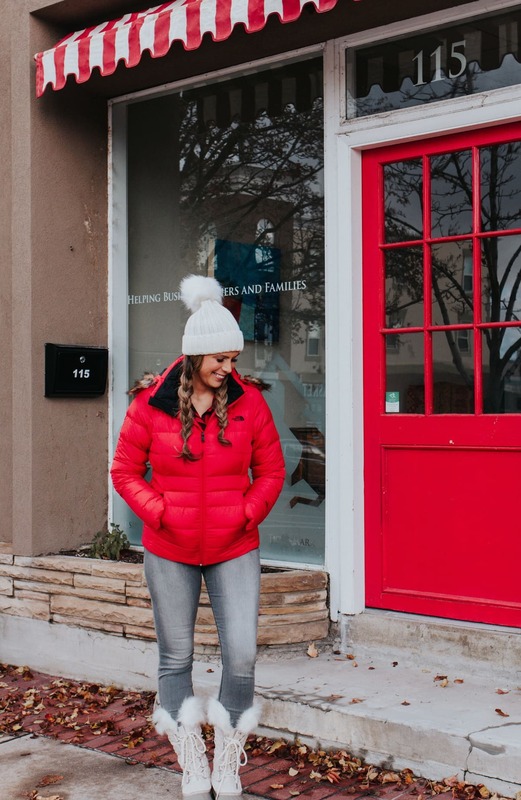 This coat has hundreds of 5-star reviews with people saying they've been searching for years to find outerwear this good. The fur zips on and off (although you know I love a good fur hood! ), and it's breathable enough that you can wear it all day without feeling suffocated. 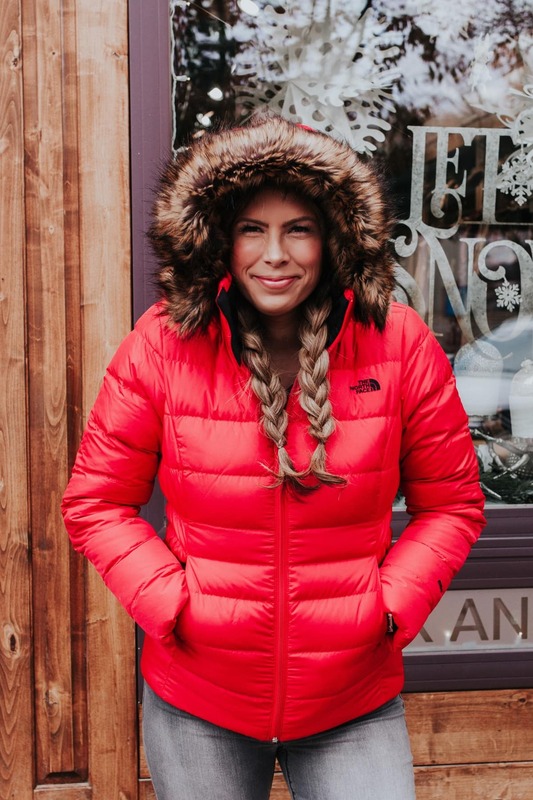 This coat is a huge win in my book! 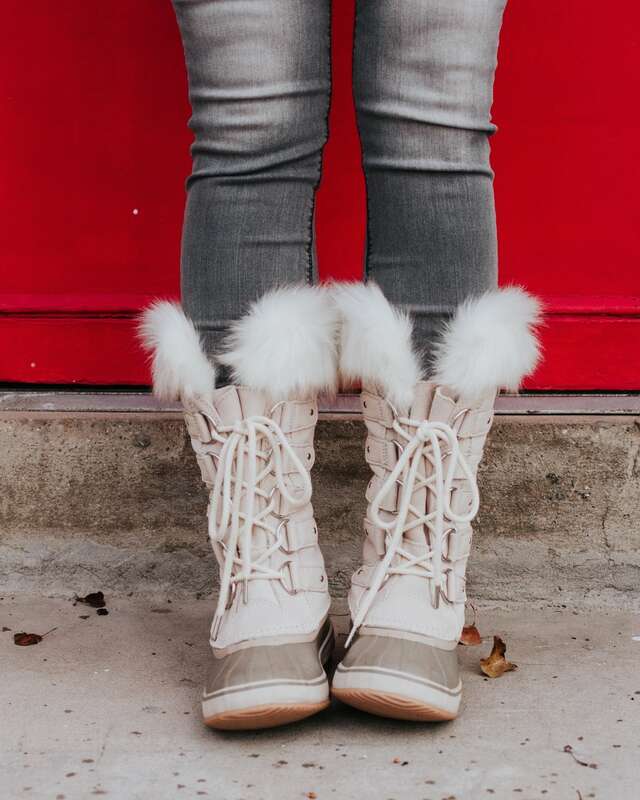 If you're going to be walking anywhere icy, boots like this are a must. I mean, have you ever slipped and fallen flat on a frozen sidewalk?! If you haven't then trust me when I say it's best to avoid it at all costs! Haha. These are SO CUTE and I have a sneaking suspicion the white is going to be a major sell-out color this Winter. And with these boots, when they're gone they're GONE. They don't restock typically, so don't wait if you're in love with the Winter white like I was! I also feel like my toes are the first part of me to start freezing when that winter chill sets in, so the insulation and fur lining on these is so nice for keeping me toasty warm from head to toe. Warm AND waterproof? Sign me up. This knit beanie is seriously the most perfect solution to any bad hair day! It adds a totally playful, fun element to a hat that is also super practical for keeping my ears and head warm. I love gifting beanies like this one, too, especially to my friends and family who live in chilly areas! You can never have too many hats. 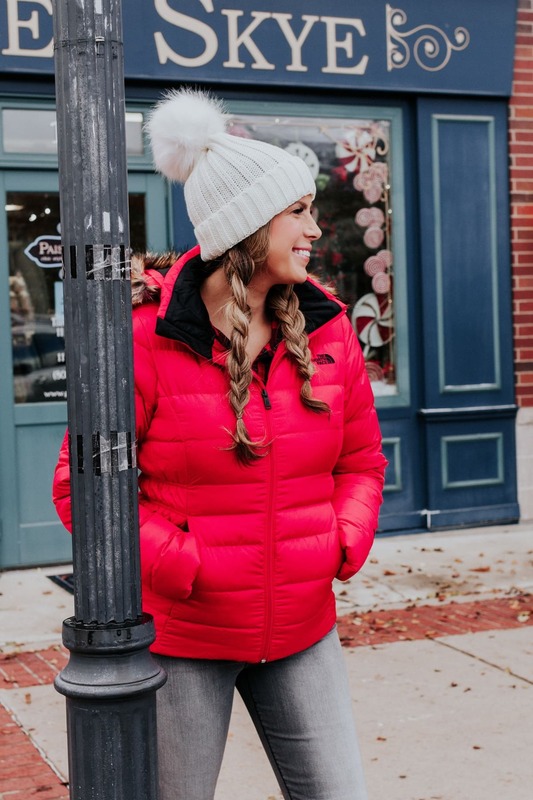 If you're looking to stay cozy and cute all season long, I've had amazing luck with Macy's lately! It's become a go-to, one-stop shop for everything to get me comfortably through the colder winter months. You can shop all of my favorites below, both for dressing yourself and gifting for others.